whatever eden wants and reid doesn't care at all. i'm sure next year, we might have to compromise a bit. 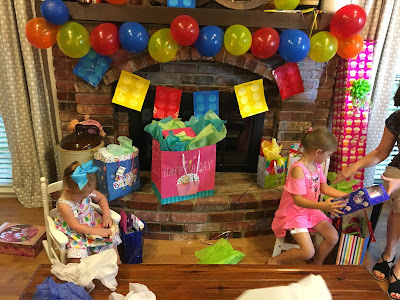 it's going to be easy for them to share their birthday parties. ended up being pretty easy fun. 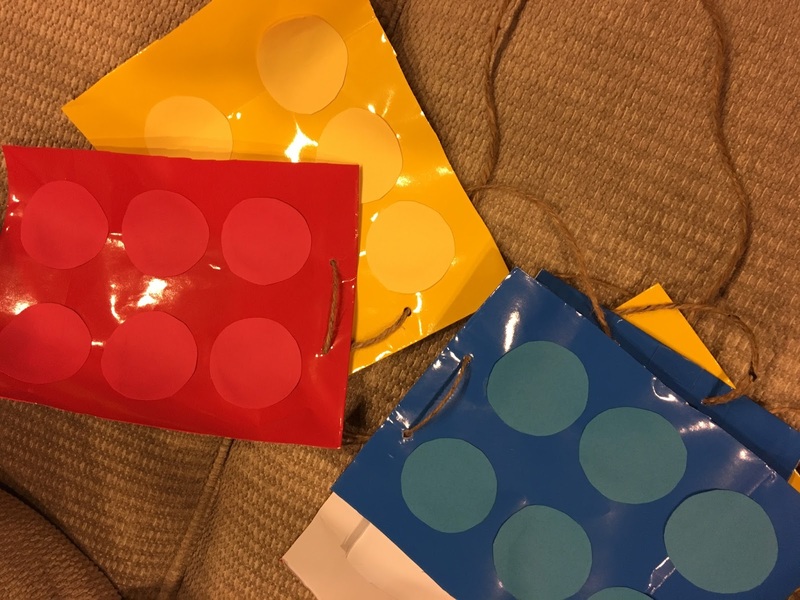 first, i bought red, yellow and blue party bags. i cut the fronts off of them and cut out little circles. a lego banner, which i hung on the fireplace. from when he was a kid. to help decorate the cake. which the cake, my mom made. it needed to be dairy free and i had never tried it before. 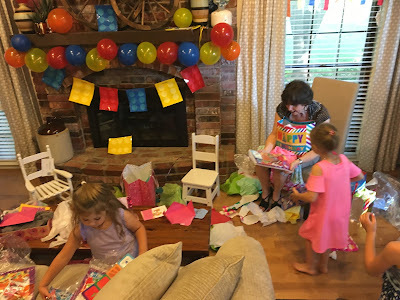 didn't want to mess it up for the party. basically, just make a sheet cake and some extra cupcakes. 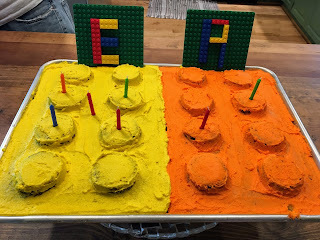 on the sheet cake in a lego pattern. change from some of the other parties i've thrown. 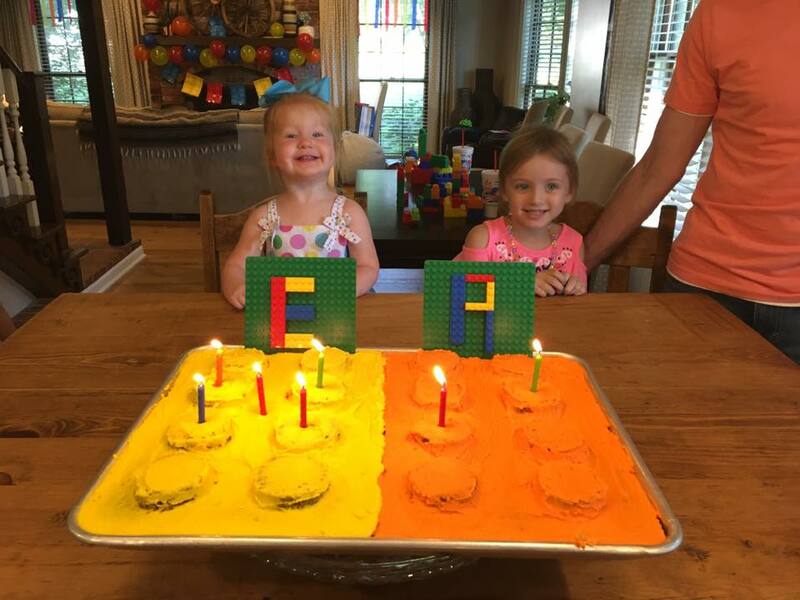 happy birthday reid and eden! our big 2 and 5 year old girls.